Rio is a bucket-list city – for good reason. Christ the Redeemer, one of the 7 Wonders of the World, looks out over the city blessed with more than its fair share of beautiful beaches, picturesque mountains, and intact forest. Deciding when to make this trip of a lifetime could be a tough task, but I’ll make it easy on you. Start planning NOW, because these next few months will be the best time to visit Rio de Janeiro, ever. The real (Brazilian currency) is soooooo low. Record lows, in fact. It is the biggest decline in 11 years. When I landed in Brazil a year ago, 1 US dollar bought 2.3 reais (reais are 2 or more real). Today, one US dollar buys 3.8 reais. In other words, Brazilian real went from .43 to .26. WOW. That’s means the US dollar has almost twice the purchasing power in Brazil today as compared to a year ago. 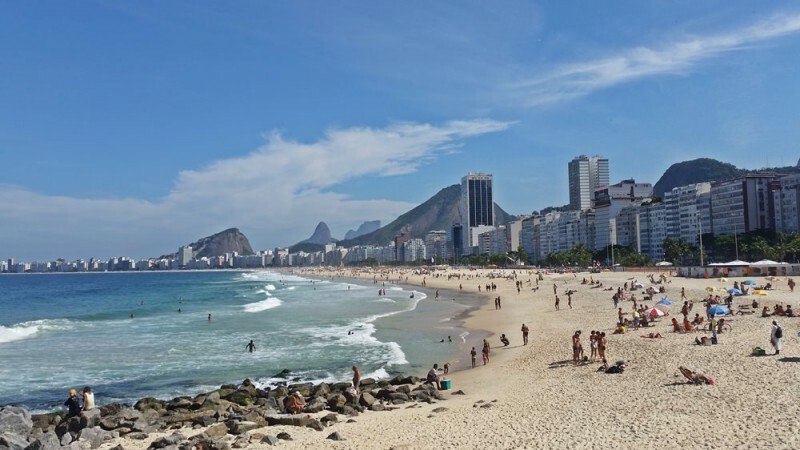 More bang for your buck (especially if you’ve got USD) is a smart budget reason to visit now, especially since Rio is usually so notoriously expensive. Azul Airlines has introduced an all-you-can-fly pass to over 100 cities in Brazil. You can visit as many cities in 10 days for $299, or 21 days for $399. Brazil has crazy expensive domestic flights (it is a HUGE country), so this is an amazing deal. 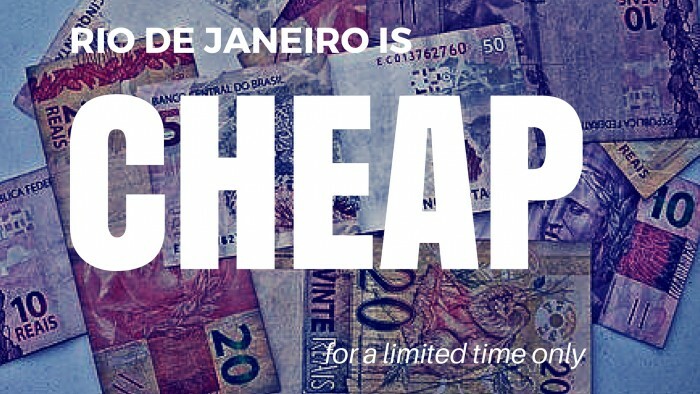 One domestic ticket is usually the same price as Azul’s Brazil all-you-can-fly deal. The only restrictions? You’ve got to fly round-trip from the US to Brazil on Azul. 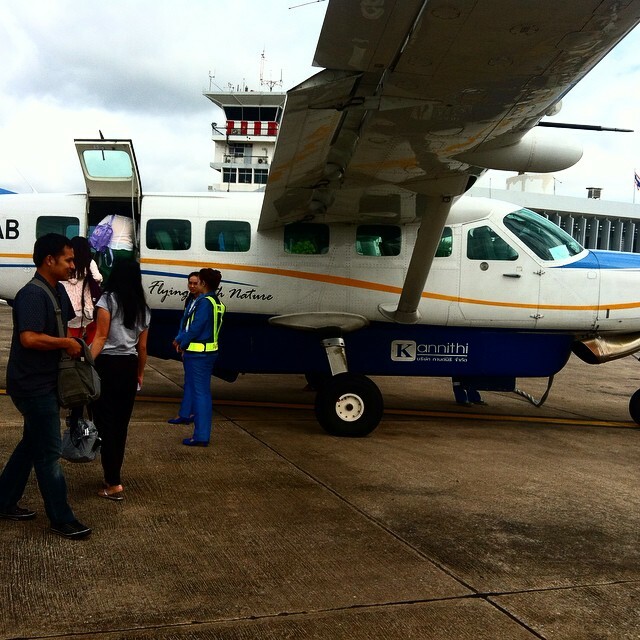 Luckily, Azul has fares under $500 for roundtrip tickets, so it’s an absolute steal of a deal overall. You need to buy your pass before November 30, and complete your trip by December 15 (my birthday! )… so get on it! High season means lots of tourists, lots of parties, and the best weather of the year. Today, Rio is gray and dreary and rainy almost every day. But don’t feel too bad for me just yet. Great weather is just around the corner. November through February sees mostly sunny skies and hot air, tempered by the cool breeze blowing in from the ocean. If you like the beach and anything outdoors, NOW is definitely the time to visit Rio. Coming up in the end of December, Rio will start warming up for New Years Eve (called Reveillon in Brazilian Portuguese). Reveillon has parties all over the city, but my favorite is in Copacabana Beach, when everyone gathers and dresses in white to watch the fireworks, and maybe jump some waves afterwards. The most famous party of all kicks off in February (though street parties start months before) – CARNAVAL. For a week (or more), Rio collapses into a frenzy of costumes, drinking, and samba. Rio de Janeiro is not ready for the Olympics, and most doubt that it will be properly prepared even when the Games officially start. Hotels, AirBnBs, and tour operations are already rubbing their hands in pleasured anticipation of the insanely high prices they’ll be able to charge throughout August 2016. Most prices will double or even triple, and it is predicted that most hotels will sell out completely within the desirable areas of the city. The beaches will be overcrowded, restaurants will be packed, and it’s almost a certainty that the already bad, slow, substandard Rio-style service will only be exacerbated when overburdened. Miss the stress, the headache, the expense, and the potential danger of an overburdened city and visit NOW to beat the problems. “Test events”, athletic competitions held for the purpose of Olympic preparation, feature world-class athletes in the same exact venues that will be used in August 2016. The prices are a fraction of Olympic prices, the crowds are smaller, and the athletes are still amazing. They’re an excellent alternative to actually attending the Olympics, and are occurring even now. The safety and police systems of Rio have been beefed up for the Olympics. Favelas are pacified and mostly safe for visitors, for now. Rumors circulate that after the Olympics, the pacification units will be pulled out as funding is cut. So now may be your last chance to safely visit and experience the communidades (favelas) of Rio. 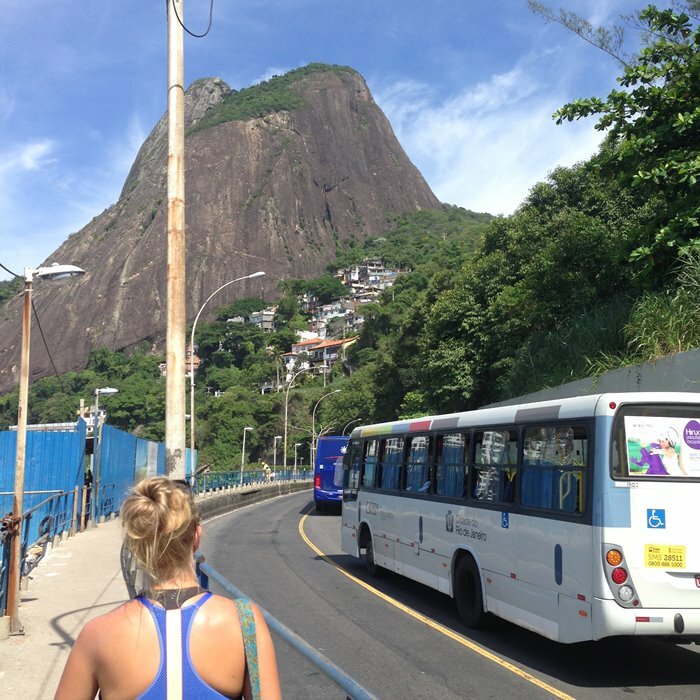 The infrastructure of Rio is also being improved for the Olympics, with the metro system extended, the bus system enhanced, and more English signs placed everywhere. 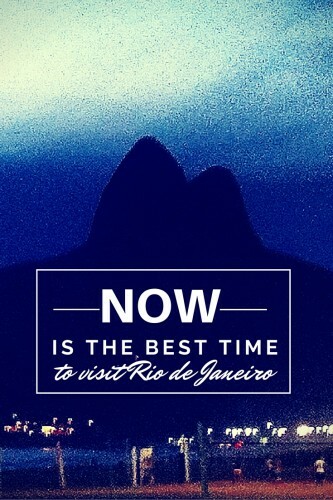 Now is your perfect window of opportunity to plan your visit to Rio de Janeiro. It is the calm before the storm of the Olympics, with the best weather of the year, and the most budget friendly period in more than a decade. 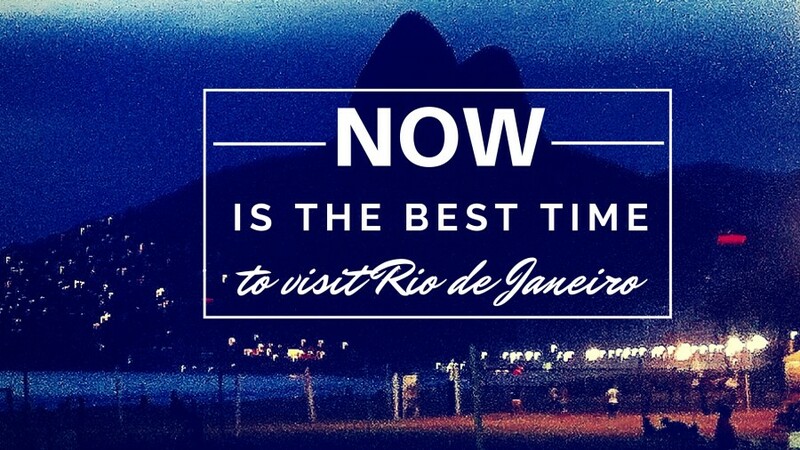 Don’t wait, don’t hesitate, and capitalize on timeliness for your best possible trip to Rio. 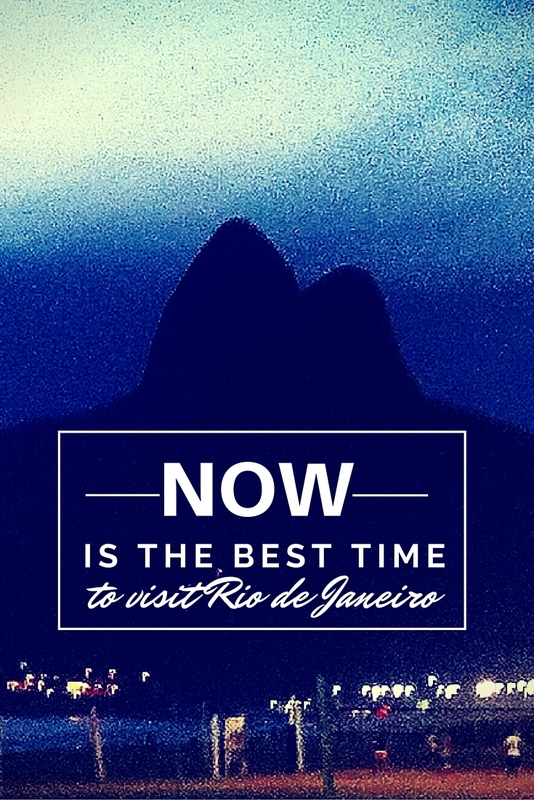 Are you planning on coming to Rio de Janeiro? Do you have any questions? Previous Post What is a Brazilian Canga?